If you need one resource to get your home packed and moved, start here. Follow the various article links explaining how to pack each room of your house. Once you have learned some general techniques for packing up your belongings for a move, you will be faced with actually doing the work. A room-by-room approach is best, and each room has some unique issues and challenges you will face. Here is where you can find information on efficiently packing up the furniture and belongings in each major room in your house. Follow the article links provided for detailed information on each subject. Packing up the kitchen can be the most daunting challenge of all when moving your household, because there are so many large and small objects in the kitchen, and so many of those objects are fragile and awkward to pack. This article provides detailed information on how to sort, select, and simplify the vast array of kitchen items when packing them up. 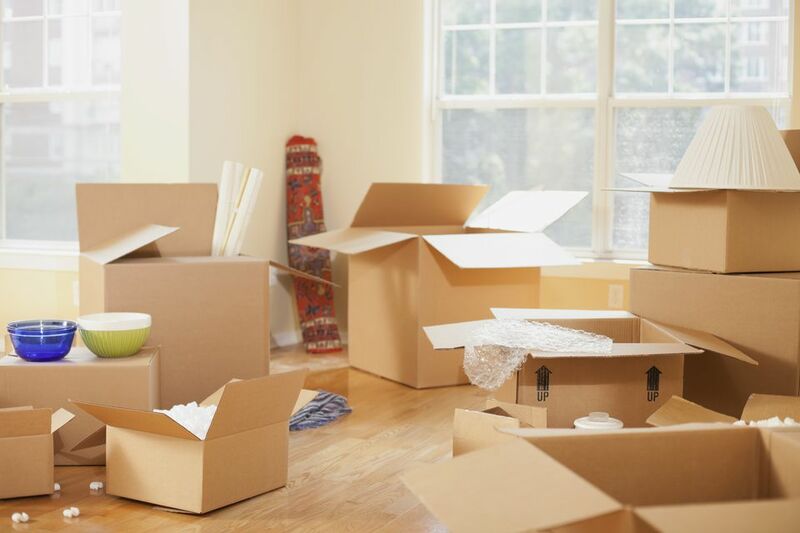 It also includes advice on how to select and pack a box or two of essentials—the items you will need right away when you arrive at your new home. Along with the kitchen, the bedroom can offer challenges when packing to move. With closets and dresser drawers that are often jammed with far more stuff than you really expect, packing up can take a lot longer than you think. Packing the living room or family room can seem a little overwhelming with objects of so many different items, sizes, and shapes. And because this space is used right up until the moment the moving truck arrives, you are always in a hurry when it comes time to packing up the living room and family room. This article provides an easy 5-step process to follow for quick, efficient packing of the living room, from sorting items to boxing up the books, electronics, and knick-knacks. With more and more people telecommuting from home, the home office is no longer just a catch-all dumping ground used for extra storage but is often a critical area that needs special attention when packing for a move. Moving bookkeeping files, electronics, and insurance records is not a process that should be taken lightly, especially if you are self-employed or work from home. This article provides information on moving a traditional business office, but a surprising number of the techniques apply to move a home office, too—whether it is a place where you actually conduct business or a room used to handle family paperwork and finances. Even though the bathroom may be the smallest room in the house, it's the place that requires a lot of patience as you go through each drawer, bin, and shower caddy to decide what to pack and what to throw. There can be dozens of half-used tubes and containers of ointments, prescription medicines, and hair- and skin-care products to evaluate. This article offers crucial information on how to sort through medications and toiletries, and how to efficiently pack them up for a move. Tips for safe disposal of medicines and other chemicals are also included. The dining room is one of the easier rooms to move depending on how much stuff you have. Most of the furniture is moved intact, or with minor disassembly, and the techniques for packing are relatively straightforward. But dining rooms do contain some items that will require extra special care, including chandeliers, crystal, and fine china. Use this handy guide for a step-by-step approach to packing up furniture, light fixtures, and chinaware for the move. Also included are important tips for avoiding breakage during transport. The garage always seems to be the last space people pack—maybe because it appears to be the easiest, containing large pieces that don't always need to be boxed up. But the garage can also be a catch-all storage area containing stuff you forgot you owned, a dumping ground where old appliances and disabled appliances go on their last stop before the landfill, garage sale, or second-hand store. More than any other space, the garage or shed is where serious discipline is required to jettison equipment and materials that have really outlived their purpose. There is no sense bringing along dozens of boxes that will be stuffed into the new garage, never to be opened.